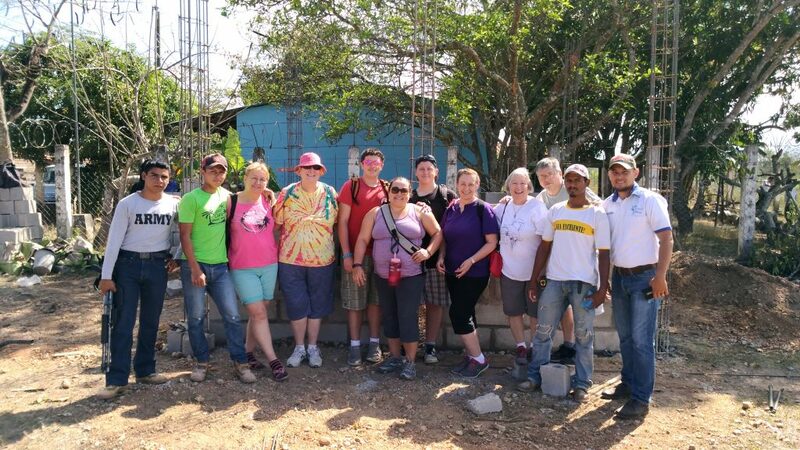 In 1993, Mary Roy reluctantly traveled to Olancho, Honduras after being asked by a friend who needed a female chaperone for his mission team. She describes those 10 days as “life-changing” and says she knew right away she would return, but could not have imagined she would lead 26 teams over the next 25 years. What keeps her coming back? On average, Mary’s teams consist of 15-18 people, some return year after year and others are “newbies.” Both the newcomers and the veterans bring unique perspectives, gifts, and talents. Spending time together in service allows them to learn about themselves as they learn about each other while experiencing a glimpse of life in Honduras. Seeing those new team members open their eyes and their hearts reminds Mary of her first trip and the way it changed her forever. Over the years, her Honduran Mission Team of New Hampshire has served in many villages and in many ways. Since the beginning, Mary’s favorite day has been when they wash heads of people who live near the river. She sees team members come into the experience with walls of fear and insecurity, but when they hold a child in their arms, washing her head, those barriers quickly crumble. Though their other projects change based on community need, they continue the tradition of washing heads every single year. For those wanting to start a team, Mary suggests tagging along with another team leader first to study the process. Team leaders manage documentation, consent forms, payments, preventative health suggestions, packing lists, safety rules, fundraising, and travel to and from Honduras. She says it is easier now that Olancho Aid has a bilingual mission team coordinator, but seeking guidance from an experienced team leader will help you get started on the right foot. February 2018 will mark 25 years for Mary and the Honduran Mission Team of New Hampshire. Watch the video above to hear from team members and see their great work.